Dr. E is a fellow scientist and good friend of mine who has recently begun to navigate the crazy world of babymaking. Naturally, her impulse is also to question all the advice and plugs and extra crap they try to sell us during this vulnerable time in our lives. Such questions, in addition to the goings on in our female form, make for some fun and strange conversation topics – from our mutual obsession with placentas to questions such as “Wait, why are we taking DHA supplements?”. To start, Dr. E investigates the DHA mystery. When I first started looking at prenatal vitamins I was pretty intimidated by all the ‘extras’ needed to keep baby healthy while in utero. I was familiar with the need to increase intake of iron, vitamin D, and folic acid during pregnancy (and when trying to get pregnant, just to be safe). Due to the fairly high rate of unplanned pregnancies in the U.S., and based on how early folic acid is needed in baby’s development, the CDC and NIH recommend all women of childbearing age to take 400 mg of folic acid daily. What was unclear to me was how many other supplements touted as “important for prenatal development” actually were that, and how many were added to increase vitamin sales. One of these supplements that came up time and time again was DHA, or Docosahexaenoic Acid. Maybe it’s like anything else, you attach the word “wedding” or “baby” to a product and it doubles in price. So, is DHA a pricey additive designed to get you to shell out more for some vitamins? Or is it a baby super-drug? DHA is an essential omega-3 fatty acid that can only be obtained from the diet. Our bodies are pretty awesome and make many of the fatty acids that we need (18/20), but this is not one of them. DHA makes up polyunsaturated fatty acids (PUFAs) in the membranes of neurons (40%) and the retina (60%). These PUFAs are involved in critically important membrane functions, neuronal development and plasticity, and receptor-mediated signaling among many other important tasks. And while most of us can eat seafood or flaxseed oil to get our daily DHA requirements, pregnant women are advised to eat 2 servings or less of fish a week due to mercury concerns, and thus might not be getting enough DHA for themselves and the baby. Hence the need for a DHA supplement. Interest in DHA as a supplement during pregnancy began in the 1980’s when it was noted that babies born to women on the Faroe islands were born 4 days later and were on average 194 grams heavier than babies born to women in Denmark . 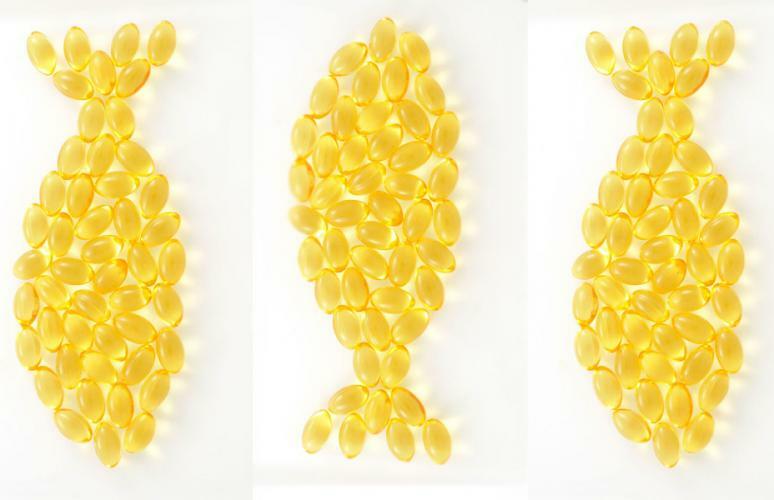 When these differences were linked to omega-3 fatty acid consumption (DHA), studies into the effects of DHA on birthweight and gestation length began. SOLD! Babies born earlier and smaller often have many more health problems and complications, so it’s a good bet to take DHA to increase gestation length and birthweight. Additionally, DHA is critically important in neural development and childhood brain function and behavior. From animal studies we know that lack of DHA in the diet of moms produces babies with reduced visual acuity and reduced performance on a variety of memory and learning tasks (Reviewed nicely in ). These studies, however, generally cut DHA completely out of the diet, which is not realistic in humans. We are generally consuming SOME DHA. So does that mean DHA supplementation to our regular diet is necessary during pregnancy? Babies from rat-moms supplemented with DHA during gestation did not perform better on the classic Morris water maze, a test of rat spatial memory and learning . So while consuming a DHA supplement during pregnancy is unlikely to produce brilliant genius super-spawn, my opinion is that the effects on birth weight and gestation length alone are worth spending a little extra to supplement your diet in the latter half of pregnancy. Still, taking that extra DHA is also going to help me feel a little more secure in the fact that I’ve done everything possible to ensure babies brain development. You know, until that kid comes out and starts running into walls. 1. Olsen SF, Hansen HS, Sorensen TI, et al. Intake of marine fat, rich in (n-3)-polyunsaturated fatty acids, may increase birthweight by prolonging gestation. Lancet. 1986;2:367-369. 4. Wainwright PE, Xing HC, Ward GR, et al. Water maze performance is unaffected in artificially reared rats fed diets supplemented with arachidonic acid and docosahexaenoic acid. J Nutr 1999;129:1079–89. Thanks for spreading the word about DHA and pregnancy. I’m a health-conscious small animal veterinarian and small business owner in NYC. I take Udo’s oil DHA and 3-6-9 blend, but it only has 100 mg / serving, which see isn’t enough. In the past I’ve taken Deva vegetarian DHA capsules, which have 200 mg / capsule. As a strict vegetarian, do you know of any more concentrated vegetarian forms? This is an interesting question, Lorelei! I am going to look into this a bit and get back to you.